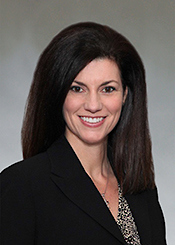 Susanne Hall is the Vice President for the West Region of Coca-Cola Bottling Company UNITED. She joined Coca-Cola UNITED in June 2015 as Vice President of Transition and Integration Planning, leading the company’s refranchising efforts. In January 2016, Susanne became Vice President of Coca-Cola UNITED’s West Region, where she leads approximately 2,500 associates in 12 sales centers covering the majority of the state of Louisiana and Southern Mississippi. Susanne has been with the Coca-Cola system since 1996. Prior to joining UNITED, she served as the Senior Vice President of Region Sales and Operations for Coca-Cola Refreshments, responsible for sales and field operations in 22 states along the East Coast, as well as the U.S. Virgin Islands. She also held several additional senior level positions in finance, category management, sales and operations. Her food and beverage industry experience also includes finance and accounting positions at Avery Island, La.-based McIlhenny Company (TABASCO®). A graduate of the University of New Orleans with a Bachelor of Science in Accounting, Susanne became a Certified Public Accountant in 1991 (currently non-participating). Her board experience includes The Louisiana Beverage Association (Vice-President), Georgia C5, Alabama Bottlers Council, Georgia Chamber of Commerce and the Georgia Food Industry Association. In addition, she is a member of the Network of Executive Women (NEW) and the Women’s LINC organization at The Coca-Cola Company. Susanne is a native of Louisiana, although she spent a decade working in Atlanta, Susanne and her family moved back to Louisiana in the summer of 2015 to join Coca-Cola UNITED. Susanne lives in Baton Rouge with her husband, Steve, and their daughter Caroline.